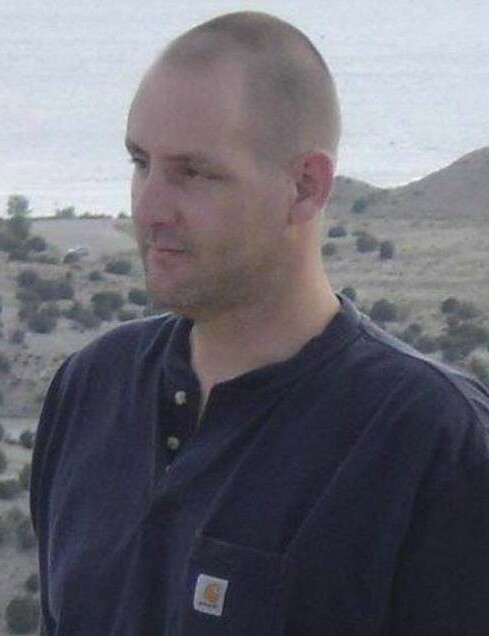 Christopher Aubrey Staggs was born on February 5, 1972 in Ada, OK to Aubrey Russell and Cathryn Sue (Gravett) Staggs. He passed away on December 30, 2018 in Yukon, OK at the age of 46. Chris attended Hinton High School. He attended ITT Tech School in OKC. He worked as a welder at Watonga Machine & Steel for 4-5 years, worked at Great Plains Correctional Facility for 3 years, worked at the Hinton Post Office, and at Red Rock Canyon State Park. Chris loved working on cars and computers. He was a member of the Choctaw Nation. He was preceded in death by his grandparents, Chester and Maxine Gravett, Laquita Sanders, and Jr. and Helen Staggs, his great grandparents, Oney and Rosabell Staggs, Noble and Lena Mae Hice, and great grandfather, Blackie Hampton. Survivors Include: his parents, Cathryn Ellis of Hinton, OK, his children, Lindsay Renae Staggs of OKC,OK, Kalae Aubrey Driskell of Hinton, OK, and Mariah Driskell of Chickasha, OK, his aunt and uncle, Michael Douglas Gravett of Hinton, OK and Cheryl Kay Driskell and husband Daniel Clover of Hinton, OK, his cousin, Daniel Casey Driskell of Hinton, OK, as well as many other relatives and friends.